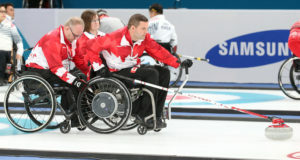 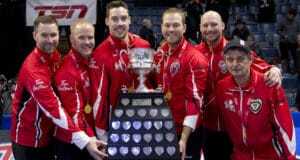 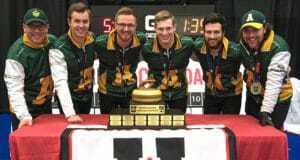 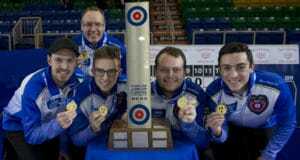 L-R: Skip Brad Gushue, vice-skip Mark Nichols, second Brett Gallant, lead Geoff Walker, alternate Tom Sallows, team coach Jules Owchar. 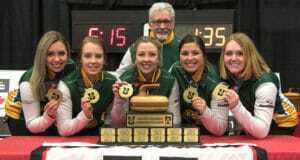 Missing, national coach Rick Lang. 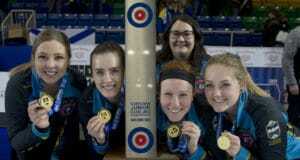 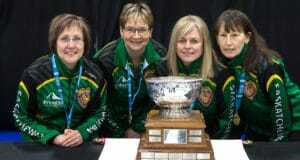 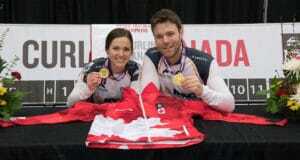 L-R: Alternate Shannon Birchard, lead Dawn McEwen, second Jill Officer, vice-skip Kaitlyn Lawes, skip Jennifer Jones. 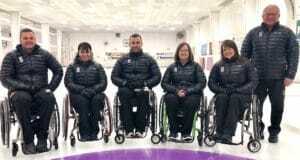 Missing, team coach Wendy Morgan, national coach Elaine Dagg-Jackson.